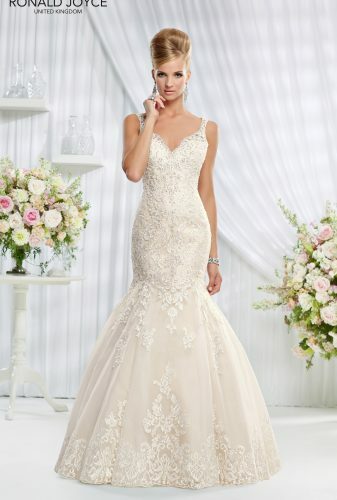 Erin is a glamorous mermaid lace over organza wedding gown. 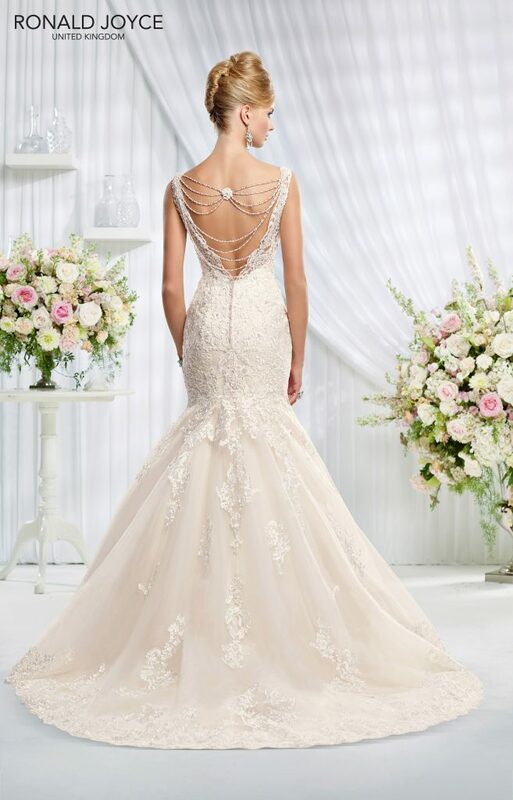 With beading throughout the bodice and an eye catching detail she is perfect for brides wanting a combination of classic lace and intricate beading. 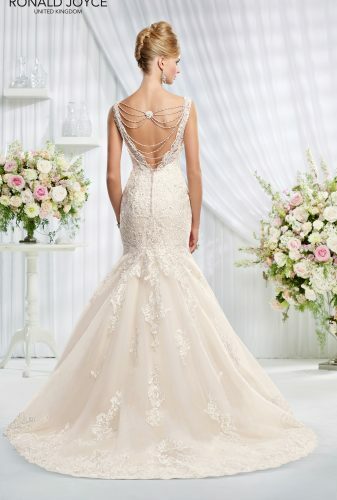 Slightly damaged and missing beaded back necklace – condition is reflected in the cost of the gown.